What's more classic than a pineapple? 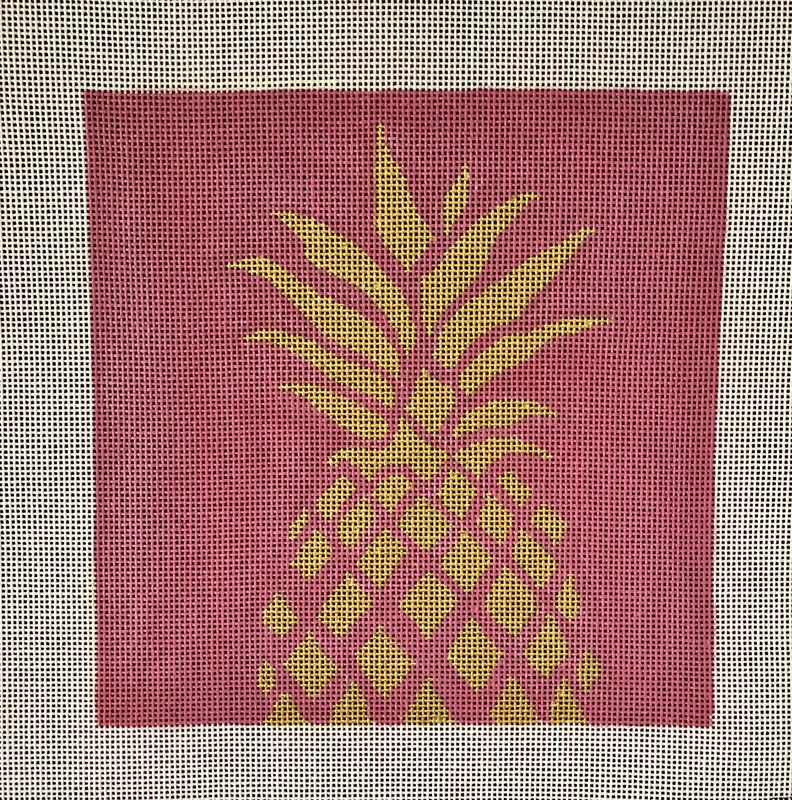 A gold pineapple with pink! 8" by 8" painted on 14 mesh.